All submitted manuscripts are subject to peer-review process. The core content of the journals include the research results and reviews in economics. The journals publish papers of post-graduates, doctoral students and undergraduates from Russia, CIS and other countries subject to the text submitted in Russian. Published papers should meet the requirements of HAC (Higher Attestation Commission) and RSCI (Russian Science Citation Index). Submitted paper should represent the research results and reviews within the journal’s scope. The paper structure should include introduction, methods and results, and discussion blocks. The originality of submitted text should not be less than 90% with all quotations figured in the correct form. Manuscript should contain the Abstract, Key words and the References list. All submitted manuscripts meeting the requirements are subject to peer-review process. The double-blind or blind methods with participation of not less than two experts are used according to the decision of the editor-in-chief. In case the manuscript is not congruent to the journal’s scope or the requirements, the motivated rejection is sent to the corresponding author. The peer-review reports are to be stored for 5 years and provided under the requests of Ministry of Science and Education of the Russian Federation. Accepted manuscripts meeting the requirements are to be published in the journals according to the editorial plans. 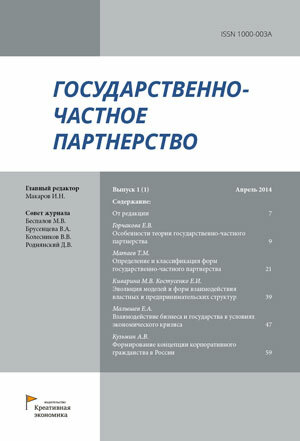 The metadata is published online in Russian and English.